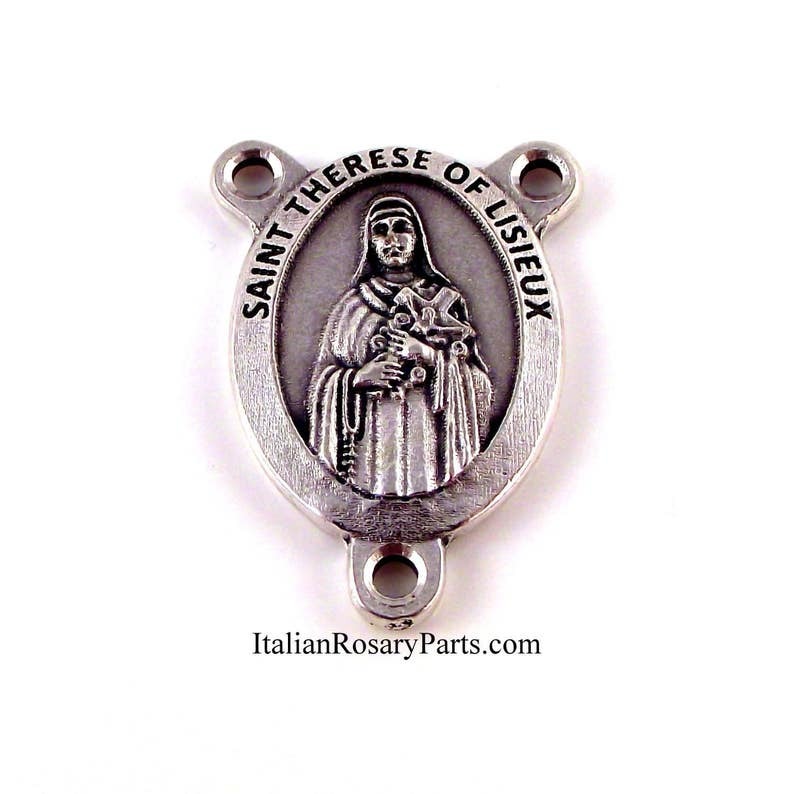 Beautifully detailed depiction of Carmelite nun Saint Therese of Lisieux, also known as "The Little Flower". The back reads "Pray For Us." Measures 1" high. Silver-oxidized metal. Made in Italy. Perfect!!!! Nice Product!!! Fast Shipping! !